Many people avoid smiling in photographs, mainly because they are ashamed to show their teeth off. 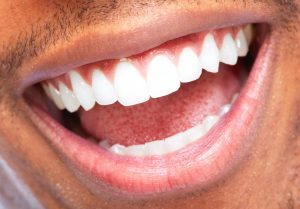 People are hesitant for a number of reasons, with the primary reason being that their teeth have yellow spots in certain areas, and they think this will make the photo look less appealing. Even still, people today stress the importance of having white teeth. 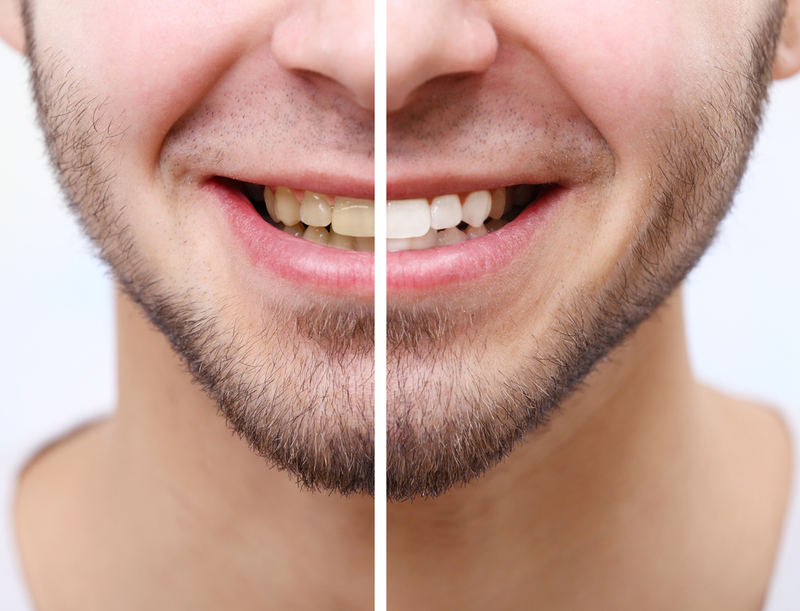 That’s why whitening strips are being scooped up off the shelves almost every day, so that the dreamy, pearly smile can be obtained as soon as possible. To further the stress of having a great smile, people buy the whitening toothpaste to keep up with society’s need to maintain white, and not discolored, teeth. Why do people stress white teeth so much? Because it’s one of the first things others notice about you and it provides an extremely important first impression to some. If you have great white teeth, you’re portrayed to also have good health and high confidence levels, which is what everyone tries to achieve. So, my question to you is, who doesn’t want a nice white smile? The answer is, undoubtedly, no one. You need to keep in mind that brushing your teeth, however many times a day you’d like to, is not the way to achieve naturally bright and white teeth entirely. Plus, brushing your teeth even five times a day will not erase the stains that coffee and cigarettes can leave. Even still, brushing your teeth five times a day will not erase all those extra problems that come along with discolored teeth, such as unhealthy gums, poor tooth enamel, and bad dental hygiene. Instead of brushing away at your teeth in hopes of helping your overall dental hygiene out, check out some of the simple techniques and home remedies I’ve gathered up for you below. Always brush your teeth after eating and drinking. When I tell you to do this, I mean it. The easiest way to naturally whiten your teeth is to always brush your teeth after eating or drinking anything, of any sort. This does require a routine to be put into place. I understand that that can be difficult, especially depending on where you are throughout the day, but you can do it! Be sure to select appropriate toothpaste to get the job done the right way. In addition, quitting cigarettes (if you’re a smoker), staying away from coffee, and avoiding drinks like soda can help the cause. If it’s hard for you to cut out drinks like coffee and soda, be sure to drink it through a straw so that it doesn’t come in direct contact with your teeth, and try your hardest to cut back on consuming these beverages. Try to get in the habit of drinking as much water as you can in place of these other beverages. For starters, hydrogen peroxide is a great antibacterial agent that is used to keep teeth and gums clean from all germs. Now that you know this little fun fact, you can mix half a cup of hydrogen peroxide with half a cup of water, swish an adequate amount in your mouth for up to a minute, and then spit and rinse your mouth. DO NOT SWALLOW THIS. Plus, it helps out in the whitening department, too. In addition, mixing a small amount of both hydrogen peroxide and baking soda can do the same trick, except in a paste form. Once the two ingredients are mixed together to form the paste, you’ll be able to rub it on your teeth in order to get that nasty plaque off of your teeth. You can then rinse thoroughly after 30 seconds of the application being on your teeth. However, in order to use products like baking soda and hydrogen peroxide safely, I would recommend brushing your teeth the normal way, with normal toothpaste, first. Also, because baking soda is very gritty, I would recommend adding enough hydrogen peroxide in order to make sure it is pastier. 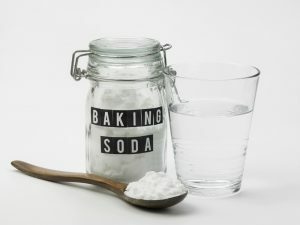 In addition, not enough hydrogen peroxide can cause the baking soda to scrub enamel right off your teeth, so make sure you have the right combination. Remember, DO NOT SWALLOW THIS. When it comes to coconut oil pulling, I’m sure you never thought it could work. However, many people have had phenomenal results from both applying coconut oil to their teeth after simply brushing as well as after coconut oil pulling. How do you oil pull, though? Well, coconut oil pulling is done by taking a spoon filled with coconut oil and putting it in your mouth. Many recommend that the oil be swished around in your mouth from anywhere between five and twenty minutes. You can also add some coconut oil to your tooth brush and brush away to acquire the same results. Bonus: This type of oil pulling is both edible and safe for your teeth. With no side effects, I don’t know why anyone wouldn’t highly consider this option. Apple cider vinegar has always been a good gum and tooth cleaner, especially when it comes to stains created by nicotine and coffee. However, what’s the secret behind apple cider vinegar’s mechanism? It simply gets rid of the bad bacteria growing on teeth and promotes good bacteria growth instead. Plus, it’s acidic benefits get rid of all that nasty plaque and other substances sticking to your teeth. You have to be consistent if you take this route, though. Using apple cider vinegar once in a while will not get the job done. In order to achieve the best results, I recommend using this product once a day for a month or so. Brush first with apple cider vinegar then switch over to normal toothpaste, and be sure to rinse well. Applying this to your teeth is a very good way to achieve nice and healthy, and white, teeth. However, be sure to use this tactic sparingly, as using it all the time can cause tooth enamel to go away forever. Also, rinse thoroughly after each use. Previous articleDo You Know the Other Omegas?